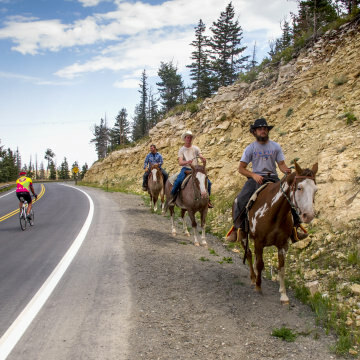 Some of the best riding of the Greater Cycle Yellowstone tour is to be had on Day 5 as you ride along beautiful backroads and through the St. Anthony Sand Dunes. If you want to ride NYC like a bike messenger, get pedaling and get prepared. 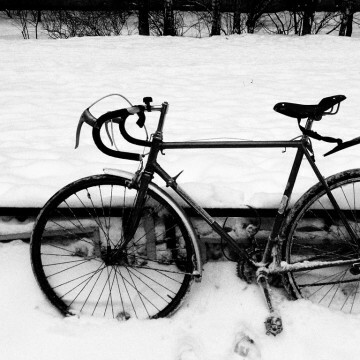 We've got the tips you need to make the most of winter riding. Trails are sloppy, and skiing and snowshoeing aren't happening just yet. Luckily, fickle conditions are ideal for riding a fat bike in NYC. Surviving the holidays can be brutal, no matter how awesome your family and friends are. 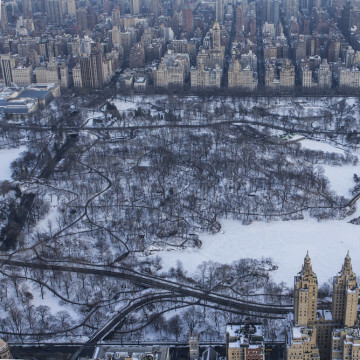 Here's your guide to being active (and staying sane) in NYC this holiday season. The Brooklyn Bridge is a classic running location—and if running the bridge isn't enough, you can run along the bridge, enjoy the views, and then run into the Brooklyn Bridge Park, right along the water, and enjoy the running paths and colorful people in the area. For the best run in NYC—plus a view into some awesome natural caves! It's a great spot to bring your pup for a run, and ties into the neighboring Fort Tryon Park for a longer day. If you're up for an ultra-long run, you can make the 41-mile trek from Central Park up to Dobbs Ferry in Westchester, or you can just hop on for a short jaunt at many points on the trail. It's a rad way to explore the city—and get out of it! Hop on in Columbus Circle and do the classic 6-miler around the park. It's the best way to get the vibe of New York City, see some crazy people, and maybe grab a hot dog or falafel from one of the food trucks when you're done. The landscaping is incredible, and the reservoir is not to be missed. If you want road running, run Surf Avenue parallel to Coney Island. If you want epic beach running, run the beach—all three miles of it! Head there early in the morning for a sunrise run for the best views and the least crowds, or people watch on a casual jog during the afternoon. Run above the city, in a garden—sounds crazy, but High Line Park has you covered. It's only 1.5 miles long, but it's worth the run, especially if you need a quickie mid-day. (It ends at 34th, right in Midtown.) After the run, enjoy some of the crazy food trucks, from coffee to tacos to wine and beer! If running Central Park is old-hat but you still don't have time to get out of the city, Riverside Park is a safe bet for a simple run—and a breezier one, since it's right on the Hudson. 16 miles (Or less. Or more.) of trail running epic-ness. Bear Mountain is exactly what it sounds like: an epic mountain (with an equally epic downhill when you flip it)! It's also a great ride from the city, if you're feeling up to 110 miles on a lazy weekend day. Bring the kids—on their bikes or in a trailer—and take it slow in Central Park. Some people try to squeeze in intervals in the park, but it's more fun if you just enjoy the sights and sounds on the 6 mile loop. Just assume you'll be braking for pedestrians and horse-drawn carriages. Sprain Ridge isn't for beginners—with 5 miles of technical trails, you'll get your MTB fix despite being near the city in this 268-acre park located between the north and south lanes of the Sprain Ridge parkway. If you take the advanced lines, be ready for some log hops! For some easier (but longer) mountain bike trails, head up to Blue Mountain Reservation. Beginners won't be intimidated, and seasoned veterans can get in their intervals without obstacles! Bring the whole family for a ferry ride and a cycling adventure on Governors Island. To get out the city without leaving the city, check out the Hudson River Greenway Bike Path. For a beautiful run that will have you stopping to smell the roses—literally—visit the New York Botanical Gardens in the Bronx. Running in Central Park feeling crowded? Head to Brooklyn for the same vibe without the craziness. Cycling on the Jamaica Bay Greenway is your passport to viewing NYC's secret wildlife and pockets of peaceful tranquility in the busy city. 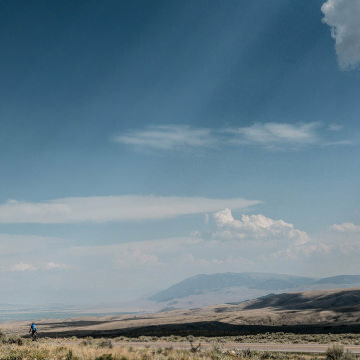 Get ready for some serious racing with this 3.5 mile loop. Summer fun, beach riding, and some amazing multi-use trails? Sandy Hook is perfect for a family trip or an epic solo journey. Enjoy the easy, bike-only path from Prospect Park to Coney Island—and plan for a stop at the beach (and possibly an ice cream) once you get there!